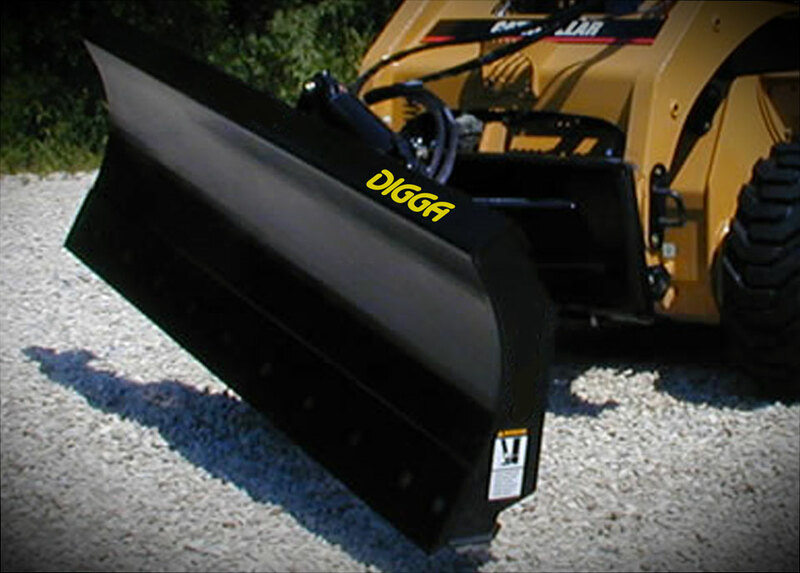 Digga’s Dozer Blade is a versitile attachment for dozing, leveling ground and general earthmoving work. Fixed as well as hydro electric angle / tilt models available. Earthmoving, landscaping, roadworks and more. 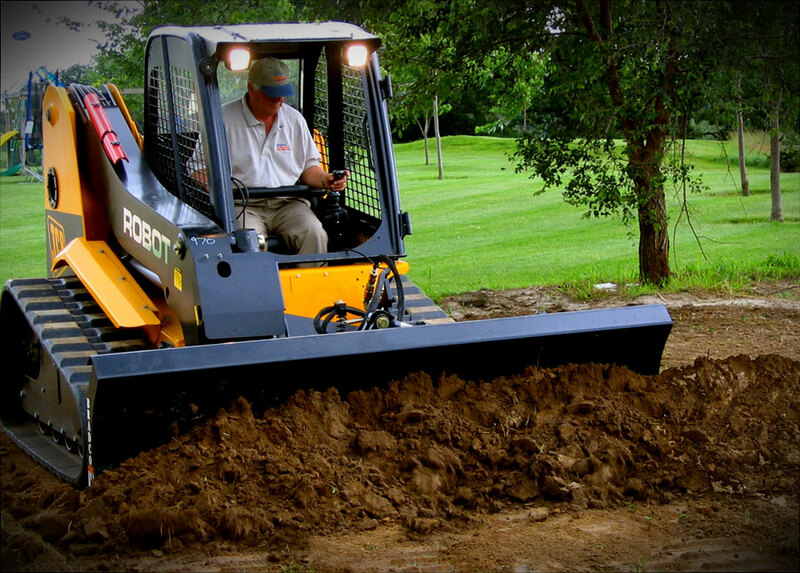 Multifit and Cat skid steer loaders. 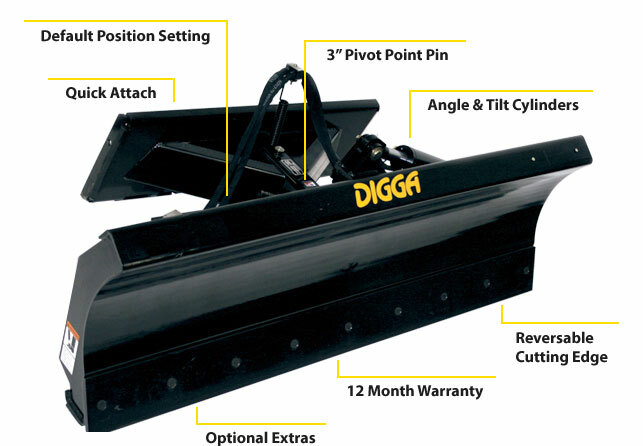 Digga's Dozer Blade comes packed with practical features. Hover your mouse over the features´ 'plus' symbol on the diagram below to reveal the respective benefits.